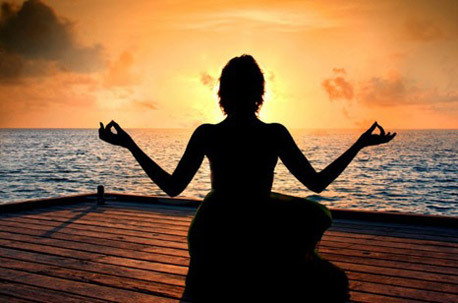 Meditation For Your Physical and Emotional Health - Paola Bailey, Psy.D. There have been numerous studies reporting on the positive effects of meditation on mental health. Most notably, a study published in the January 2011 issue of the Journal of Psychiatry Research: Neuroimaging created a buzz within the scientific community and mass media. These researchers reported findings suggested that an 8-week course in Mindfulness Based Stress Reduction (a popular form of meditation training in the United States) produced significant changes in the brain of volunteers. Brains were examined using MRI imaging, and results found an increase in grey matter concentration in the hippocampus, posterior cingulate cortex, and the temporo-parietal junction. In essence, they discovered grey matter changes in areas of the brain that control learning, memory processing, emotion regulation, sense of self, and empathy. They also reported a reduction in grey matter in the amygdala, the part of our brain responsible for fear and stress reactions. Ultimately, these findings suggest that meditation may be not only helpful in improving your ability to learn, and effectively concentrate, but also in your ability to creatively process information, and cope with negative emotions. Not bad! However, if improving your mental health is not enough of a reason to consider adding meditation to your routine, perhaps this will help. The American Heart Association has reported that routinely practicing Transcendental Meditation (another form of popular meditation) could significantly reduce cardiovascular risk factors, including hypertension and insulin resistance. They followed more than 200 people over a period of 5 years and found that those who routinely engaged in meditative practices cut their risk of heart attacks, strokes, and deaths associated with cardiovascular illness by half! Now, if the idea of heart disease is too far off in the future to motivate current behavior, consider one more recent finding. Research published this June has suggested that regular practice of meditation could be your best protection against the uncomfortable symptoms of respiratory illnesses and can significantly reduce the number of sick days due to catching a cold or the flu. And since most agree there is little one can do to prevent a cold, reducing its discomfort and longevity, may very well be your (not to mention your boss's) best option. With all of these positive findings, it is hard to ignore the positive effects that meditation can have on your health. So, instead of viewing it as a hippie-dippie, new-wavy waste of time, perhaps we can begin to see meditation for what it really is, a powerful, free, and easily accessible way to improve mind and body health.